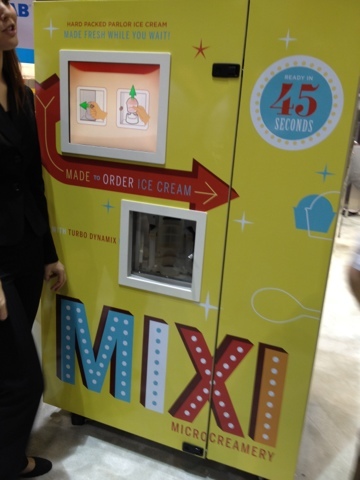 The Microcreamery Group showed off the Mixi, a vending machine that makes your flavor right on the spot in 1-cup servings. Choose from among six ice cream favors and your choice of mix-ins, and 45 seconds later, you have ice cream. Its reps said it was being aimed at cages, colleges, rec areas and so on. This is either good news or bad news. Bad for me, because I ate the whole cup of chocolate chip and loved it. Rome seems to have a gelato shop on every corner. Lounging at the sidewalk tables in front are some of the skinniest people you’ve seen in your life — fashionably sockless in their white jeans and Pradas, delicately scooping the national ice cream from a rainbow of plastic cups. You have my permission to hate them. But take some time to also learn from them. 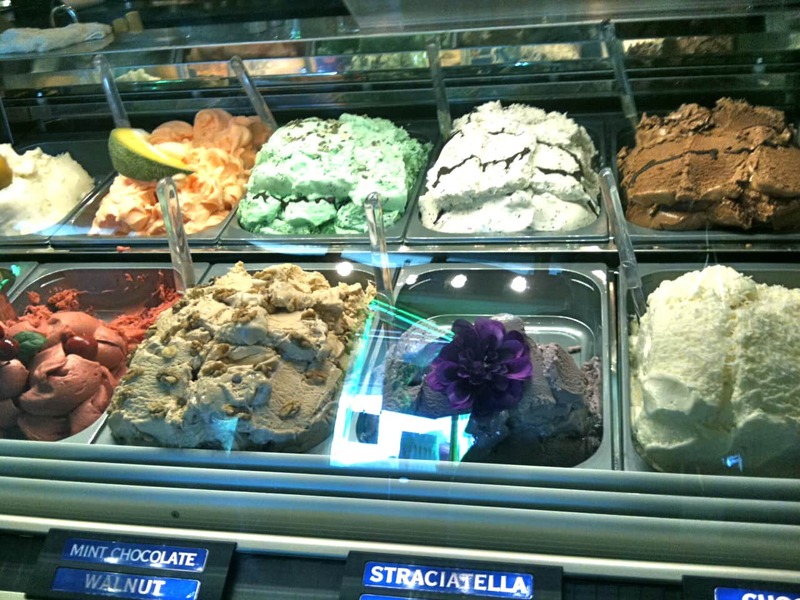 For starters, despite its rich taste, gelato is lower in fat (5-9 percent) than American-style ice cream (14-25 percent). It tastes good, but lacks that slimy-on-the-roof-of-your-mouth feel that makes a dish of premium ice cream so decadent. The process involves pumping less air into the mix and churning as it cools, making it smoother without needing so much fat. Then there’s the size of a serving. 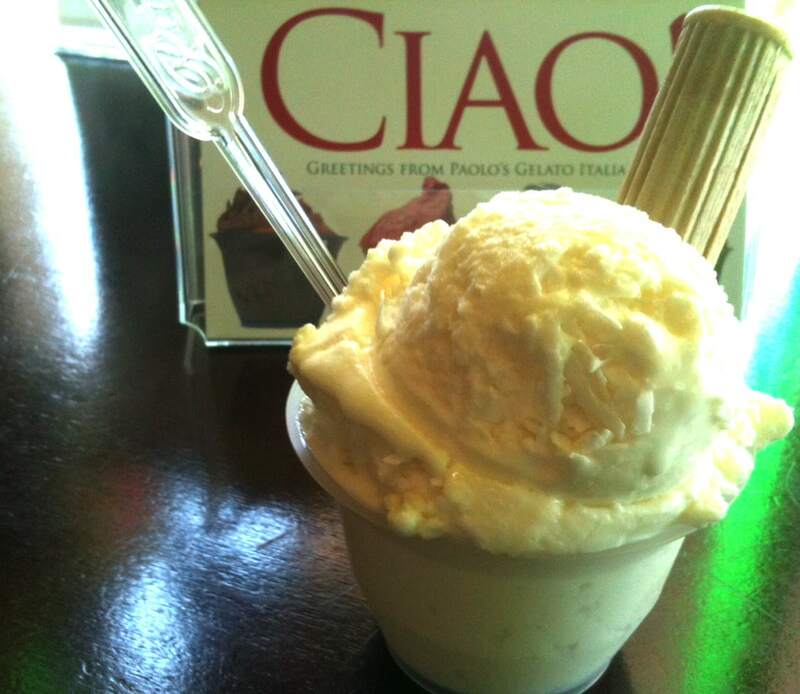 On the way home from work, I stopped at the Atlanta, Ga., location of Paolo’s Gelato Italiano, which also has a shop in Charleston, S.C. I bought a small ice cream for $4.50. In thickly accented English, counter person (somebody’s mama mia) told me it was 5 ounces. The shop also offered a medium and large. But even the small was considerably larger than the servings I saw dished up in Italy. My 5-ounce bowl is equivalent to about 150 milliliters. A web site that sells plastic gelato cups offered some of the smaller sizes I was used to seeing (and buying) in Italy, one with as few as 85 milliliters. Paolo’s is genuine — the founder is from Italy — but hey, everybody’s got to build a business. And Paolo probably knows that Americans aren’t going to settle for a typically Italian-sized dish. He’s also adopted the American penchant for edible bowls and such that add to the caloric damage. 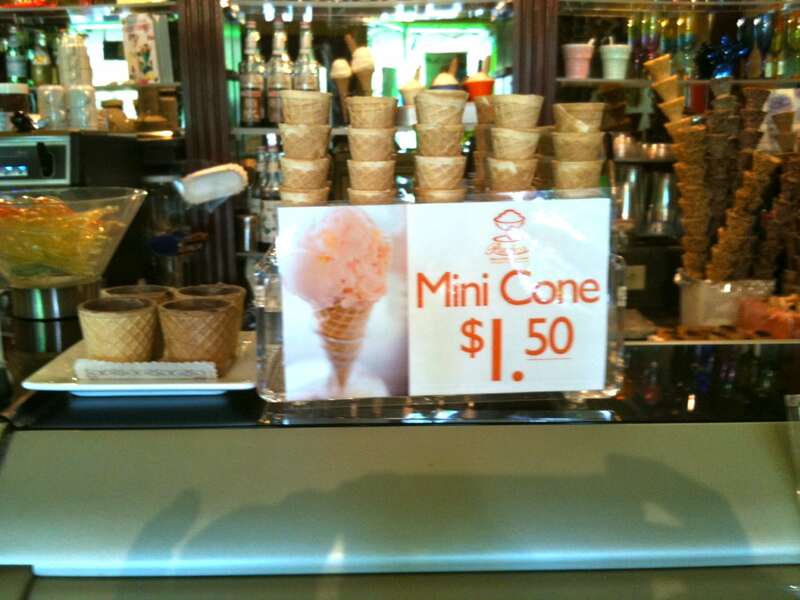 But I will give him credit for his little $1.50 mini cone, which probably holds a couple of tablespoons at best. I’ve ordered them when feeling particularly vigilant. This time, the lure of mounds snowy coconut gelato beckoned, which is why I ended up with the small. 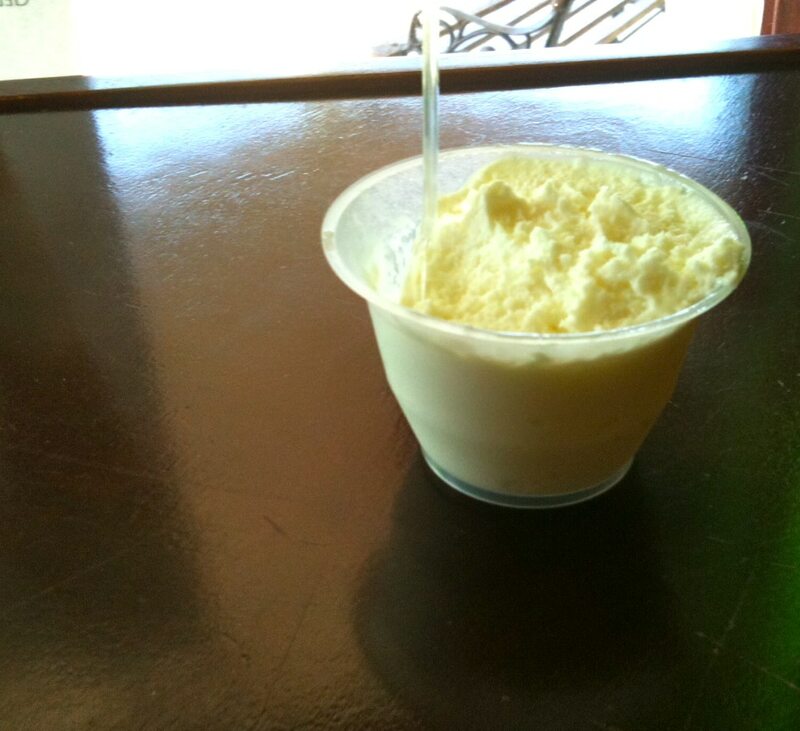 It was wonderful; smooth and creamy with lots of contrasting texture from the coconut. The serving probably was more like 6-7 ounces, because Paolo’s finishes each dish off with the traditional Italian peak. Palolo’s website contains no nutritional information, so I used a number of other websites to tally the score. Several assessed a 4-ounce serving as containing 157 calories, 6 grams fat, 24 grams carbohydrates and 2 grams protein. But after scooping off the peak and savoring a few bites, I tossed the rest in the trash can. Sometimes wasting $2.25 worth of ice cream is the only rational thing to do. For evbidence, I took a picture before I tossed it. What do you mean the picture proves nothing? Of course I’m telling the truth. 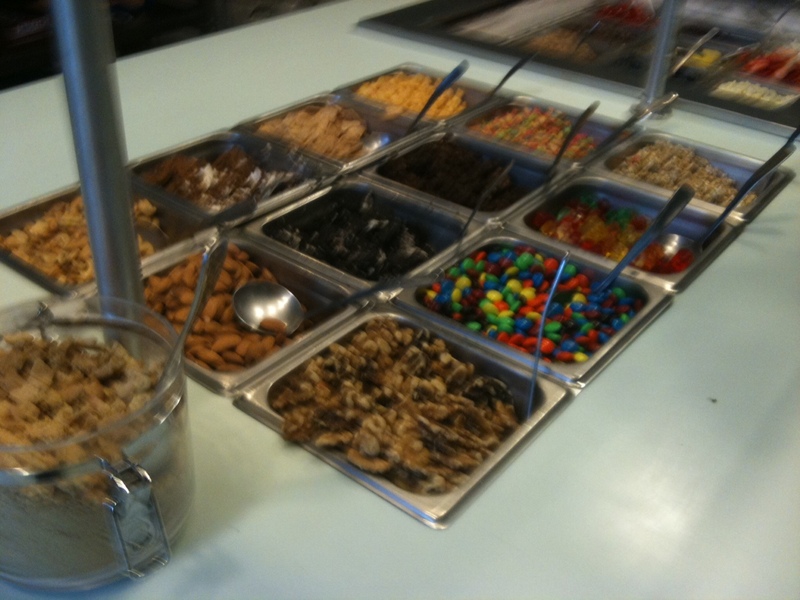 Review: The Yogurt Tap, Decatur, Ga. When it’s time to go out for something cold in the summer, my spouse and I battle it out. He wants ice cream, and nothing but. It can be cheap soft-serve like Dairy Queen. It can be high-end gelatto. What it can’t be is frozen yogurt of the kind found at national chains such as Pinkberry and Yoforia, or the local place near our home in Decatur, Ga., The Yogurt Tap. Unless it leaves that slimy feel of buttercream on the roof of his mouth, The Restaurant Dieter’s Spouse is not happy. That tang of yogurt makes him wince. Sometimes, out of pure pity or love, I win. My spouse leaves the engine on, pulls up close and pushes me out at the curb. He waits while I run in for what I hope will be a healthy, cool, lowfat treat. I say hope because that’s all it is. Whether self-serve, as my local place is, or counter-person-assisted, you can pile on the calories from a toppings bar that look like the Candy Land board. Sure, there are fresh blueberries, but just look at all those M&Ms, chocolate chips, granola and hacked up pieces of Snickers bars! What differentiates The Yogurt Tap from some of the national chains is that there are no brakes. Call it the Old Country Buffet of the healthy yogurt world. You get an enormous bowl, fill it with yogurt yourself, pile on the toppings and pay by the ounce. Leaving perhaps half the bowl unfilled, I wound up with 8 ounces of yogurt before I’d added a single topping. That’s not so bad, given that a 4 ounce serving is billed as 70 calories with 0 grams fat. Not even I can leave it there. That yogurt tang does need something, and in this case, it was 1/4 cup of chocolate chips, for 80 calories and 4 grams of fat. And when I’m feeling really deserving, I top it off with just one piece of hacked-up Snickers bar.